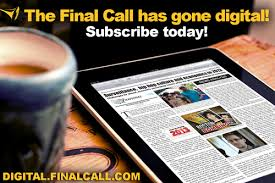 (FinalCall.com) - Baltimore police officers were pelted with rocks, bottles, and planks, patrol cars trashed as news outlets broadcast the unrest live and streamed unfolding events in real time—shortly after Freddie Gray was laid to rest. The governor of Maryland declared a State of Emergency as scenes of chaos were broadcast around the world. 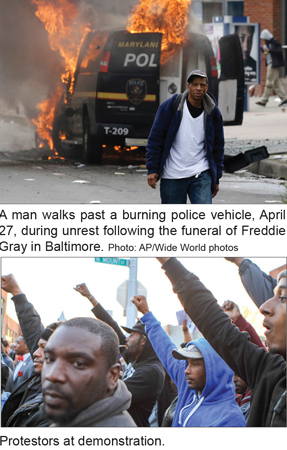 “What media and everybody focuses more on is a CVS burned about four miles from where I live than what happened to Freddie Gray in that van,” said Dr. Ray Winbush, director of the Institute for Urban Research at Morgan State University, a historically Black university in Northeast Baltimore. City officials and media want to focus on the rebellion, which is the fruit, “the roots of the rebellion is Baltimore has one of the most violent police forces in the United States,” he continued. Mondawmin Mall, a major shopping center in a Black neighborhood, was the epicenter for initial clashes between police and high school students. Later that evening looting was reported at the mall and in businesses along Pennsylvania Avenue. As night fell, other fires and looting broke out in different parts of the city. Services for Mr. Gray, who died in police custody, were held April 27. After what police described as an arrest without incident, Mr. Gray died April 19, one week after his arrest. His voice box was crushed and his spine was “80 percent severed at his neck.” Video shot by a bystander shows him screaming in apparent agony as police drag him to a van. The frustration moved down to Pennsylvania Avenue and North Avenue as windows were smashed, businesses trashed and a fire set inside a looted pharmacy. Angry crowds moved toward downtown, home of highly prized and expensive sports arenas, hotels, the multi-million dollar Inner Harbor and major tourist attractions. But no major damage was inflicted in the highly developed area of the city. A Major League Baseball game was postponed, transportation disrupted and schools and businesses closed early as fear and anger spread. 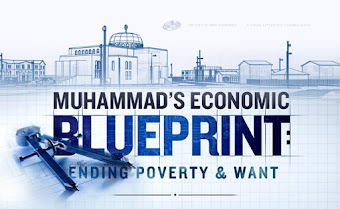 As the violence moved along streets and avenues, the Nation of Islam’s men, the Fruit of Islam of Muhammad Mosque No. 6, were in the streets led by Student Minister Carlos Muhammad. At one West Baltimore intersection the Fruit of Islam tried to prevent injuries and urge restraint from enraged youngsters and residents. In another instance, the F.O.I formed a line between city residents and police clad in riot gear. 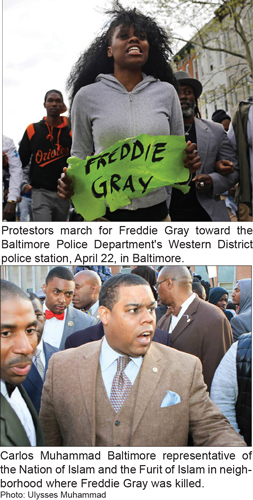 The scenes in Baltimore reflected reality that Nation of Islam Minister Louis Farrakhan has warned off for over a year. In major addresses in late February and early March, the Minister again said injustice and murder inevitably bring serious consequences. “Trouble is breaking out in all the countries, and America, the land of the free—and the home of the slave—as well as the brave,” said Min. 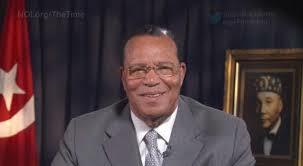 Farrakhan in his annual Saviours’ Day address in February. “There’s trouble in Ferguson, trouble in St. Louis, trouble in Chicago, trouble in New York, trouble everywhere you look. Because ‘justice’ is not where we look; it’s injustice that is the order of the day,” he said. 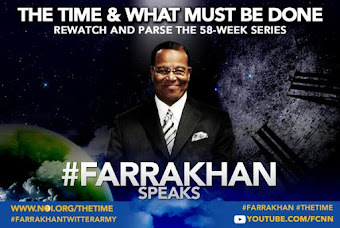 The next week, in the second part of the address at Mosque Maryam, the Minister explained how “the Honorable Elijah Muhammad said, ‘Justice is the weapon that God Himself will use to bring judgment and justice to the world on the Day of Judgment. Justice is the weapon, and so it doesn’t make any difference, now, when you get beat in the head by the police, and they’re lying and they get away with it—so we think. White people have been doing evil a long time to us, and we’ve been thinking, ‘They got away with it.’ And therefore your breast is hurting because you can’t find justice. But when God says justice is ‘the weapon’—that means that what they have sent forth in our lives is coming back to them, and this is the time that they should reap what they have sown. Mayor Stephanie Blake Rawlings drew a line between protestors and “thugs who only want to incite violence and destroy our city.” Years spent building the city cannot be destroyed by thugs trying to tear down what so many have fought for and destruction of businesses and property that will impact the community for years, she said. The mayor said she requested the National Guard to get things under control and spoke with President Obama. Along with the National Guard will be a citywide curfew, effective April 28, from 10 p.m. to 5 a.m., for one week and extended as necessary, she said. A juvenile curfew is already in effect 9 p.m. and 10 p.m. for school children, she said. Fears were expressed of a repeat of the 1968 riots after the death of Dr. Martin Luther King, Jr., which devastated the city, and politicians vowed not to allow that to happen. Gov. Larry Hogan, Jr., a Republican, said the state of the emergency deploys the Maryland National Guard and opens the door for “a last resort in order to restore order,” he said. In a phone conversation, President Obama promised to send Attorney General Loretta Lynch to Baltimore and may come himself, said Gov. Hogan. Col. William Pallozzi of the Maryland State Police said the executive order allows 500 additional law enforcement officers from Maryland to come into the city. Up to 5,000 law enforcement officers from the mid-atlantic region could come in, he added. The National Guard will divide the city into sectors and taking control of every sector, explained Col. Pallozzi. Major General Linda L. Singh, adjutant general of Maryland National Guard, said 5,000 troops could be put on the streets of Baltimore. She suggested April 27 at the evening press conference that residents go in, sleep for the night and allow for order to be restored. The National Guard would play a support role to city police, but Guardsmen will be carrying weapons for protection and heavy military vehicles will be used, Maj. General Singh said. “This is not marital law,” the major general said. Martial law would mean a full military takeover, she added. Rep. Elijah Cummings (D-Md.) told CNN problems were spread all over the city and police were trying to deal with the crisis. Rep. Cummings said he received a call from Obama aide Valarie Jarrett offering to send in any Justice Dept. help needed to examine the city police department. Black smoke billowed from a burning pharmacy as a breathless CNN correspondent described the scene. When firefighters connected the hose, a person ran by and cut the hose. Baltimore police said as many as 15 officers were injured and clashes started with a large group of juveniles confronting and throwing bricks and other items at officers. Seven officers were injured in the early clashes, Baltimore Police Captain Eric Kowalczyk said at an afternoon press conference. The injuries included broken bones, Capt. Kowalczyk said, and one of the officers was unresponsive. The Maryland Transit Administration shut down several stations as the unrest continued to unfold. Light Rail train service through the city was also interrupted. The city has paid out $5.7 million in settlements for police harassment, broken bones and abuses in recent years but few police officers were arrested, he said. Cops know the city will settle with victims but officers won’t be fired, said Dr. Winbush. Suspensions with pay amount to a vacation for officers, he added. Killing a Black person means nothing, Dr. Winbush said. The officers involved in the Gray incident should have been arrested because a spine doesn’t sever itself, clearly something illegal happened, he added. If the officers had been arrested none of what you see on TV would have happened, said Dr. Winbush. “The most violent outside agitators in Baltimore today is the police department. And they have been pushing the residents of this city over and over,” he said. 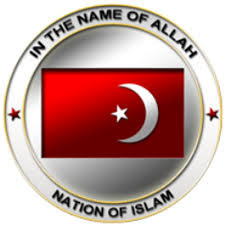 Abdul Arif Muhammad, general counsel of the Nation of Islam, was not surprised at events in his hometown. What we are witnessing all over the country is a rising tide of frustration in the Black community and communities of good will tired of seeing Black men killed by White police officers, said Atty. Arif Muhammad. The Muslim Program calls for an immediate end to police and mob attacks, he observed. The number of cases of police violence suppressed is surprising and Baltimore isn’t mentioned among cities with problems, said Atty. Arif Muhammad. But Baltimore has a long history of brutal cops, he continued, sharing an encounter where he was beaten for stopping officers from beating his 14-year-old brother while in college over 30 years ago. Officers beat, took him to a deserted area and tried to force him to run so they could shoot him down, said the attorney. Charges were dropped but a detective targeted him, trumped up charges of a robbery which took years to fight and legally rebut, he continued. A Black woman on a jury refused to vote guilty leading to his acquittal and decision to change his major from pre-med to law, said Atty. Arif Muhammad. While in the police cruiser handcuffed during the initial incident, ligaments in his shoulder were torn as the ride jostled him around unsecured, he added. There are questions about whether the failure to secure a handcuffed Mr. Gray in a police paddy wagon led to his injuries and eventual death. We know and have heard many stories of how police officers have taken young Black men and put them in another neighborhood with different street organizations, Atty. Arif Muhammad said. Officers have taken Blacks to White areas where it was not safe and left them, and planted drugs and weapons on Blacks, he said. “These are realities for Black men so when you see a police officer there are only two choices: Fight to defend your life or try to get as far away from them as you possibly can,” said Atty. Arif Muhammad. While understanding the mayor’s frustration the lawyer said calling those on the streets or involved in unrest “thugs” was improper. As Min. 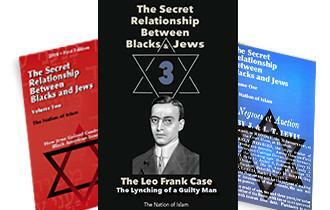 Farrakhan teaches, those continually deprived of justice over a long time suffer a type of near insanity, Atty. Arif Muhammad said. Burning and looting of Black neighborhoods by residents is a sign of a kind of insanity because of a lack of justice, he explained. Most of the first people on the street were school children, and while others may have joined later, teenagers should not be under a blanket label as criminals, especially with all the facts unknown, he commented. 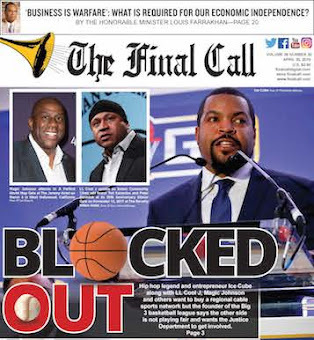 “Branding and labeling of us in this way led to the call for the Million Man March in 1995 by the Honorable Minister Louis Farrakhan because Black people, and Black men in particular, were portrayed as menaces to society,” said Atty. Arif Muhammad, who is working on the commemoration of the 20th anniversary of the Million Man March in October. Rev. Jamal Bryant, fresh from the burial of Freddie Gray, called for young people who battled police to go home. Rev. Bryant said his desire was that the young people not be arrested or tear gassed. The day was set aside for mourning and the family asked for no protests today, he said in live interviews broadcast by news media outlets. In his eulogy, however, and from other speakers at the funeral came calls for justice and vows to keep fighting for justice. Atty. Billy Murphy, Jr., a Gray family attorney, said the crisis in the city is an opportunity to respond properly by reforming the police department and tearing down a Blue Will among officers “that says right or wrong we’re gonna cover for you. We are tearing it down in this town, it’s a corrosion of justice,” he said. (AP contributed to this report).